​At Dr. Carlos Green Optometry, our highly experienced team is prepared to serve you. We understand how vital vision is to everyday life, so we're committed to providing quality services tailored to your individual eye care needs. We embrace a broad diversity of patients, so we assure our entire staff can serve you in both English and Spanish. Carlos E. Green, O.D., F.A.A.O. 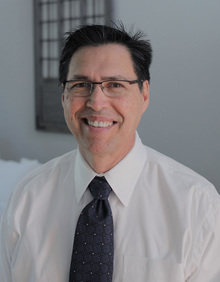 With 31 years of board certified Optometric experience, Dr. Green is a graduate of the Southern California College of Optometry (at Marshall B. Ketchum University), and has been practicing since 1985. Dr. Green is a member of the American Optometric Association, California Optometric Association, Orange County Optometric Society, American Academy of Optometry (since 1988), and Adjunct Faculty at the Southern California College of Optometry. Jackie is a certified ophthalmic technician since 1992. She is familiar with all aspects of eye care and is likewise committed to providing competent, personable care.